Cala Turqueta is located in the south-western part of Menorca, right between the holiday resorts Cala’n Bosch and Cala Galdana. 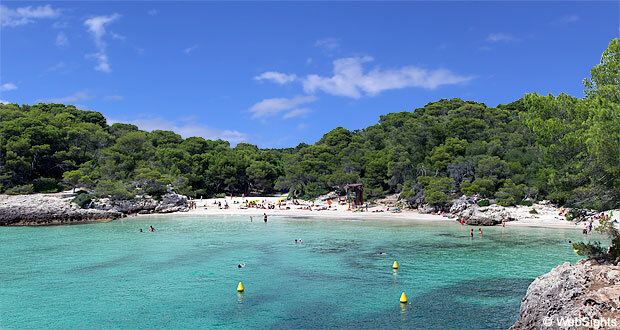 Cala Turqueta is a wonderful natural beach, which is surrounded by forest and rocks. The beach is a little more than 100 metres long and covered with fine-grained, bright sand. In the middle of the beach, there are some low rocks that divides the beach in two. The water is shallow and crystal clear with the most beautiful turquoise shades. 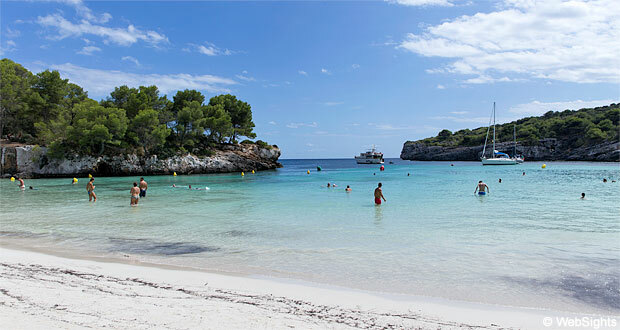 It is no wonder that Cala Turqueta is one of the most popular beaches in Menorca. There are toilets at the beach, but apart from that there are no facilities, so remember to bring plenty to drink. The car can be parked approx. 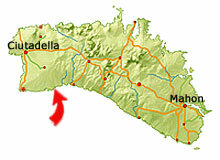 1 km from the beach. Out by the main road, you will find a sign notifying whether the parking space is full, and in July/August it gets full rather quickly. 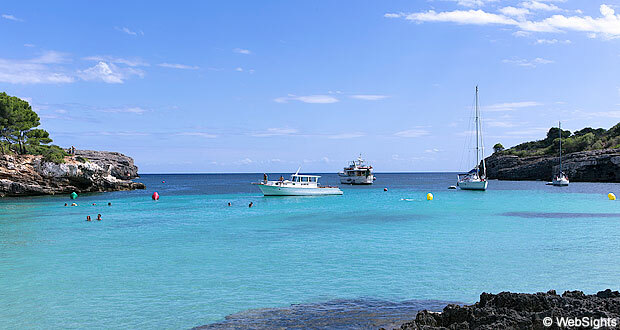 Cala Turqueta has very shallow water and is well protected against waves. In combination with the fine-grained, bright sand, this makes the beach very child-friendly. The path leading to the beach is not suitable for baby prams and strollers. There are no water sports activities, but the snorkelling conditions along the rocks are very good. 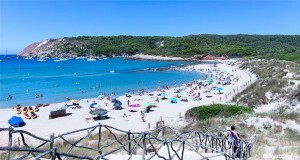 There are no restaurants, bars or kiosks at Cala Turqueta. 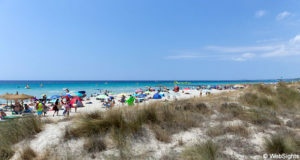 Cala Turqueta is located between two of Menorca’s largest and most popular holiday resorts: Cala’n Bosch to the west and Cala Galdana to the east. 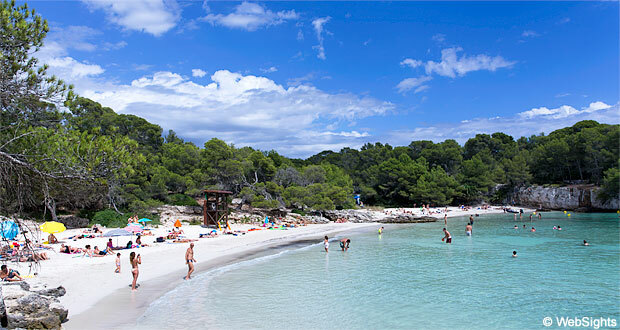 Both holiday resorts have lovely beaches as well, but many people still visit Cala Turqueta with their rental car. There is no bus to the beach from either of the two towns.